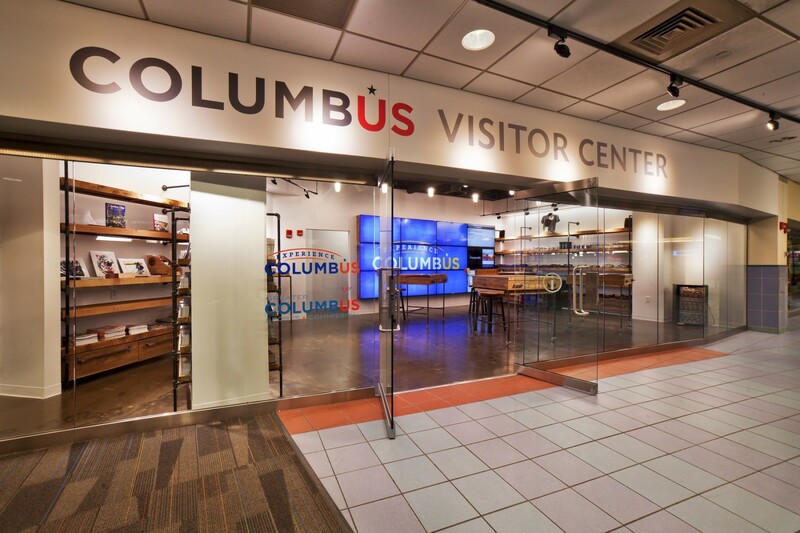 Located inside the Columbus Convention Center, the Columbus Visitors Center is a 700 sq/ft retail space, used to promote Columbus tourism and conventions. The space features reclaimed barn wood, and a full wall of TVs to grab the attention of those passing by. The space is the third Visitors Center for Experience Columbus, and they will share the new space with the Greater Columbus Sports Commission. It was a pleasure working with Compton Construction. They were professional, on time, on budget, and communicated any changes to the design of our wonderful visitor center in a timely manner. Compton built a visitor center that makes Experience Columbus proud to showcase our great city!